A bland communique from the Congress party announcing that Ashok Gehlot would be the General Secretary in charge of training, signed by the man he was succeeding, Janardan Dwivedi, has set the cat among the pigeons in the Congress as well as the BJP. The Congress, much like the Vatican, functions through sending smoke signals like this one. The new job for Gehlot will bring great job satisfaction also to his fierce rival, Rajasthan Congress Chief Sachin Pilot. Because while Rahul Gandhi, Congress President, is yet to make it official, it now seems clear that it will be Pilot who will be the party's choice versus Vasundhara Raje in the Rajasthan election due this winter. This is the first major rejig that Gandhi has undertaken at the most senior levels of the party and it is the start of a generational change in the Congress long discussed, often promised, and so far, largely hypothetical except for Gandhi's own slow ascension. Gandhi worked closely with Gehlot during his travels in Gujarat last year where Gehlot was credited with reviving the party when he was put in charge of the state and ending the bitter and debilitating infighting among the party's Gujarat leadership. Gandhi say sources spoke to Gehlot before he was appointed and assured him that he would still have a large say in Rajasthan. Gandhi is believed to have told him that Pilot and he are a formidable pair in taking on the BJP in Rajasthan but that Gehlot was also needed with him in the party's planning at the national level ahead of the general election. 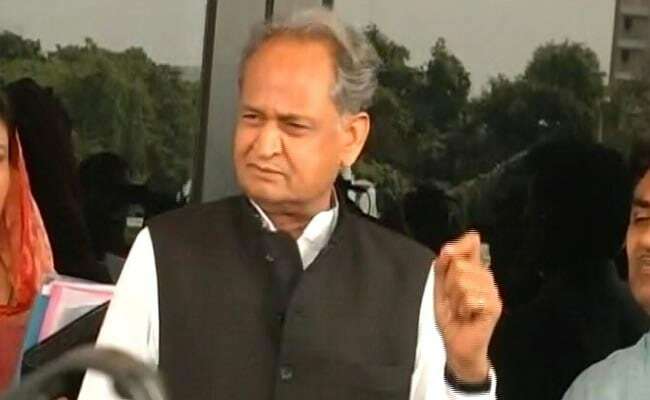 Gehlot, a former and popular Chief Minister of Rajasthan, was left with no option but to bite the bullet and give in gracefully. Despite ensuring and getting the credit for the Congress party's record wins in Ajmer and Alwar recently, Pilot had told his close aides that he was not hopeful of winning the battle against Gehlot to be projected as the face of the party. Even now, sources say that while the way for the campaign in Rajasthan is Pilot-led, there may be no formal announcement of a presumptive Chief Minister unless Gandhi decides otherwise. Gandhi has also significantly put his close confidante Jitendra Singh in charge of poll-bound Odisha, replacing non-performer BK Hariprasad, widely dismissed along with another leader CP Joshi as AICC deadwood. Gandhi has also ushered in a complete new state unit in Gujarat, putting in another close aide Rajiv Satav as General Secretary in charge and replacing Bharatsinh Solanki with the relatively young 42-year-old Amit Chavda as state president. 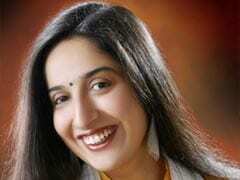 But, as is typical in the Congress, Chavda, a four-time MLA from Anklav constituency in Anand, is Solanki's cousin. The Congress now has a Patidar, Paresh Dhanani, 42, as the leader of opposition in Gujarat and has balanced it with an OBC as the GPCC chief. Sources say that the party hopes to take on the Gujarat government with a balance of caste and youth. Both Gandhi and Gehlot continue to monitor Gujarat on a weekly basis and are in touch with Hardik Patel who suggests "issues to take on the BJP government". Rahul Gandhi worked closely with Ashok Gehlot during his travels in Gujarat last year where Gehlot was credited with reviving the party when he was put in charge of the state and ending the bitter and debilitating infighting among the party's Gujarat leadership. Virtually the entire Congress unit in Gujarat is under the age of 45 with many young MLAs such as Alpesh Thakor, Chirag Kalaria and Vimal Chudasama who is 36. Gandhi has ensured a seamless generational transfer while, post Modi, the Gujarat BJP is locked in factional combat. Karnataka has clearly been defined by Gandhi as Siddaramaiah turf with the Chief Minister getting the rare privilege of calling all the shots in the battle to retain his state. Gandhi has been entirely guided by Siddaramaiah in ticket selection with winnability being the sole criteria. Other decisions are texted to Gandhi. Siddaramaiah has so far outwitted Amit Shah by calling for the powerful Lingayats to be recognised as a religious minority. Shah is making daily bloopers on the campaign trail and is fumbling for a response on the canny Lingayat move. As its new president, Gandhi has been a surprisingly good administrator for his party so far while displaying new political acuity in his near-daily jabs at Modi. His social media game is on point and party leaders say that his consistency in his attacks on Modi and the over-the-top reactions they provoke from the BJP, which always deploys several union ministers to attack Gandhi, has ensured that he is finally taken seriously. "The Pappu jokes don't work anymore and the way the BJP attacks Gandhi shows that they are very insecure about him," says one of his close advisors credited with his new outreach. But while Rajasthan may have been resolved, Madhya Pradesh, which is due for election is still an open issue and a now publicly impatient Jyotiraditya Scindia is still waiting to be addressed as an item on Gandhi's to-do list. As Scindia sends public reminders via interviews about the pressing need to name a Chief Ministerial candidate (while adding unconvincingly that it is his "personal view and he is talking about all the states"), Gandhi has so far not budged. MP leaders are convinced that this time around, they will be able to dislodge three-term Chief Minister Shivraj Singh Chouhan and have managed to sink their differences. Kamal Nath and Scindia are likely to meet Gandhi soon to press for an announcement. The Congress needs to retain Karnataka and win MP and Rajasthan, otherwise it will be reduced to governing just two states. While Gandhi tries to galvanise his sleepy old party with an infusion of young blood, he has to also find an alternative agenda to Modi to win over the country. Blind criticism is not the way to go. The recent AICC resolution, drafted largely by Kamal Nath, was a step in this direction with its focus on job creation and farmer distress. If the Pilot model and the Gujarat generational rejig is adopted across the country, the Congress might see returns, finally, as it did in Punjab.